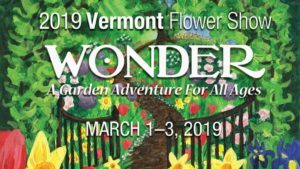 We are ever grateful that Amanda Bates, our poster artist, agreed to work pro bono with our Grand Garden Display committee to create the poster artwork for this year’s show and theme – Wonder – A Garden Adventure for All Ages! Amanda is a Vermont native from Fairfax and has been creating art since childhood. She has been teaching art in St. Albans since 2005. Gardening is a favorite spring and summer interest of Amanda’s and she loves watching things grow. 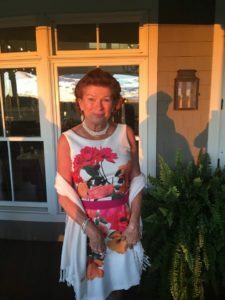 One of her fondest memories is planting her very first lily garden in the backyard with her mother – “I can still smell the soil, and picture the soft pastel colors shown on the box, and feeling the anticipation to see the bulbs sprout. Flowers are one of my favorite things, and many of my watercolor flowers are drawn from photographs of my mother’s, my mother-in-law’s, or my own garden”. Some of Amanda’s favorite art activities include photography and mural painting. But her true passion is watercolor painting. Amanda shares – “As a child, I remember loving the softness of the brushes, the thickness of the paper. I find watercolor painting very relaxing, and I enjoy experimenting with new ideas and techniques. Being both a gardener and a painter of flowers, I feel a special connection to this biennial event. It was an extreme honor to be asked to paint this year’s Flower Show poster. I hope you enjoy the show, and look to nature to find some inspiration for your own creative endeavors“. Thank you Amanda for sharing your love of art and gardening with us! Look for Area Artists Painting Live in the Grand Garden Display! Libby has been illustrating Vermont’s landscapes and wildlife for over 30 years, working primarily in pen & ink and watercolor, with murals in acrylic as well. 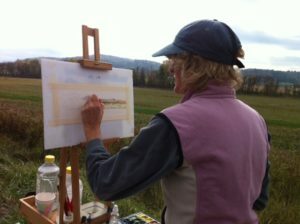 She participates in local plein air festivals, painting landscapes with watercolors outdoors, in all types of weather. She recently challenged herself to paint 50 plein air watercolors in her 50th year, resulting in The 50 Project Exhibit. Libby has worked on many projects over the years including illustration projects for the Junior Ranger Booklet, the Wetland, Woodland, Wildland: A Guide to the Natural Communities of Vermont. Books that she has illustrated include Wild Adventures: A Guidebook of Activities for Building Connections with Others and the Earth and Life in the Cold, a winter ecology textbook through University Press of NE in its third edition. Libby is currently working on a mural in the stairwell of the Burnham Memorial Library in Colchester, VT. She created several 35’ long wetland dioramas along with habitat displays for the Birds of Vermont Museum in Huntington, Vermont. She offers sketching and watercolor workshops, along with kid-based products that encourage creativity. 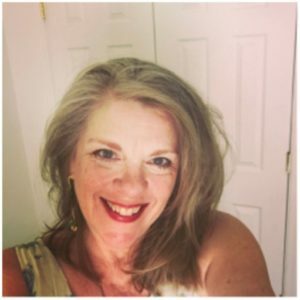 Libby lives in Colchester, Vermont with her husband and children, who inspire her daily with their unique creative expressions. You can find Libby at www.starflowerstudio.com. Kathleen Grant grew up in Stamford, Connecticut. Her love for art started at a young age. After taking numerous art classes in high school she then attended Johnson State College to pursue her dream of becoming an artist. 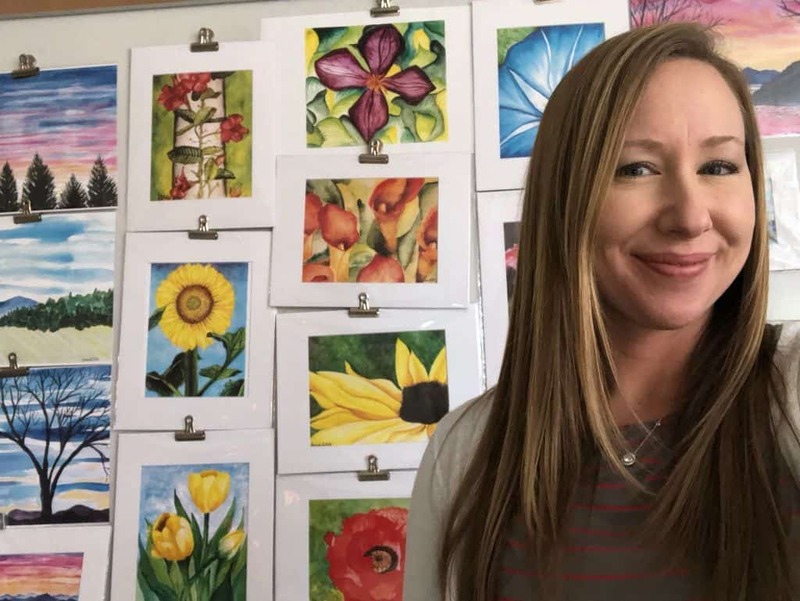 Kathleen then found her calling; she wanted to share her love and enthusiasm of art through teaching. At the age of 27 she became a K-8 art teacher. Kathleen found while she worked with the children, they were bringing more inspiration to her art. 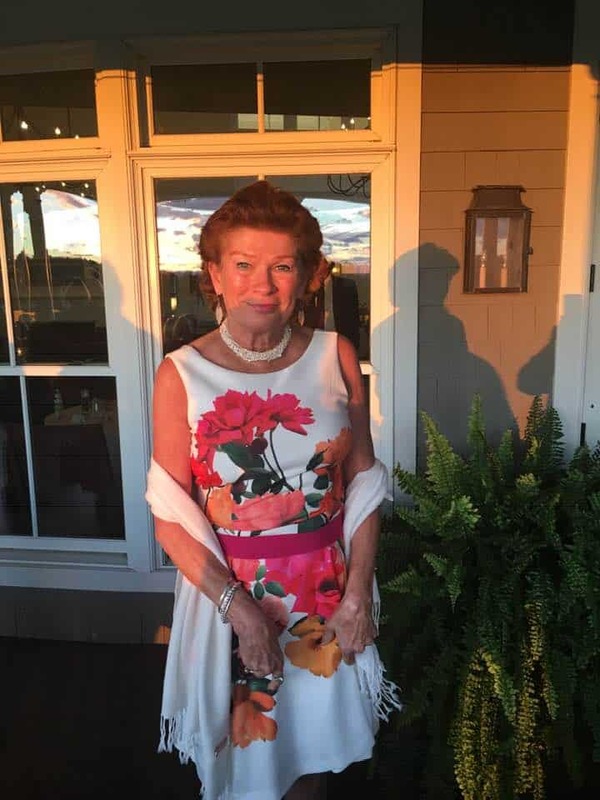 After teaching for thirty years Kathleen has retired from her teaching career to work as a full time artist and jewelry designer. She resides in the beautiful Green Mountains of Shelburne, Vermont with her husband, Doug , two cats( Alma and Rosie) and a new puppy Willy. She also has three beautiful adult children of her own, Ashley, Kaitlyn, and Nicholas. As an artist, she finds there are no boundaries when sticking to a specific artistic medium. In her paintings, she works in a wide variety of media including: water colors, pen, oil sticks, acrylic paints, colored pencils, and ink sticks. Kathleen loves to create; she also loves to share her passion, and hopes to inspire her viewers, peers, students, friends and family through her art. Kathleen’s Jewelry designs specialize in wirework and cold connections (a technique that does not involve the use of heat or flame). She loves to make jewelry with Lake Champlain and Cape Cod beach stones. She also has a passion for upcycling trinkets and vintage treasures to create unique, wearable art. Clay also fits into Kathleen’s eclectic art, mainly focusing on hand building. She enjoys making function pieces including bowls, platters, vases, and garden art. Please visit www.kathleengrantstudios.com for more information on Kathleen. 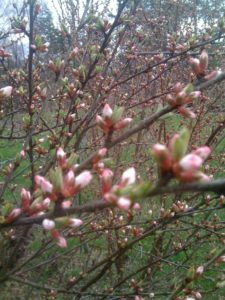 Since my childhood nature, and, in particular, flowers, have tweaked my imagination and have led me to study biology and read extensively about plant life. I find it most fascinating to grow flowers and vegetables from seed and observe the magic of life’s evolution. The leaves and flowers are wondrous to behold, but, oh! the added bonus of fragrance is transfixing. I spend a lot of time tending to my gardens and photographing my blooms which I then use as subjects for my art. I am a self-taught watercolor artist. The joy of learning new approaches, of watching the intriguing flow of paint, and of capturing light on paper mesmerize me. Of late, I have challenged myself to painting ‘en plein air’ and relish the peaceful settings of landscapes that these venues offer. 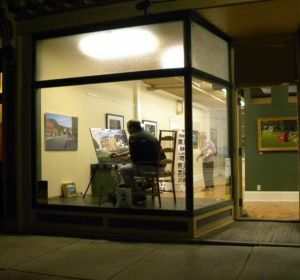 My work has been exhibited at Bryan Gallery in Jeffersonville, various galleries through the Vt Watercolor Society, Phoenix Book Store / Gallery in Essex, the Old Mill in Jericho, Champlain Valley Exposition in Essex Jct., Fletcher Free Library in Burlington, the Village Frame Shop / Gallery in St. Albans. I have had solo exhibitions of my work at Gruppe Gallery in Jericho Ctr., Brownell Library in Essex Jct., and at the Charlotte Senior Center. Sales of my art have been through these sources as well as privately. I belong to the Essex Art League, the Northern Vermont Art Assc., the Bryan Gallery, and am a Signature Member of the Vermont Watercolor Society through which I have been juried in for exhibitions. As I am now retired from my professional years of nursing I have unique moments to develop my florals and scenes in permanence as aquarelles, graphites, and colored pencil drawings. Reed is the owner and operator of Prescott Galleries at Verde Mountain in Bristol, Vermont. Reed feels that sharing art includes the process as well as the piece. Seen painting in halls of schools, at Basin Harbor or in his store front window allows the public to witness the whole creation process. Known for his oil paintings, book illustrations and two winning Vermont Duck Stamp competition his work can be found in public and private collections around the world. To learn more about Reed please visit www.verdemtn.com. You can visit Reed in Booth #19. Shanley is a native Vermonter and has been painting in watercolor for over 25 years. 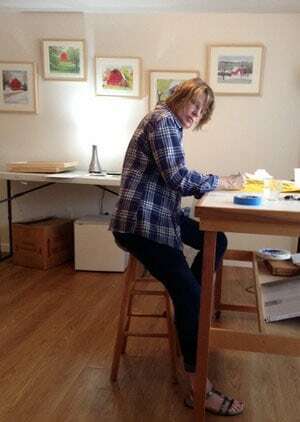 She has participated in many juried festivals and art shows where she has won awards for her work. She has been an “On the Grounds Artist” for the Shelburne Museum as well as a five year participant in the Burlington Center for the Arts juried Artist Market at City Hall Park. 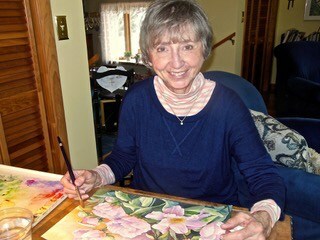 Her business is known as Vermont H’Art under which she sells her original work and prints. Her miniature-framed prints can be found in specialty gift shops throughout Vermont. Shanley also enjoys teaching watercolor painting and encourages others to do art of any medium. Visit Shanley in Booth 33 or visit www.shanleytriggs.com.